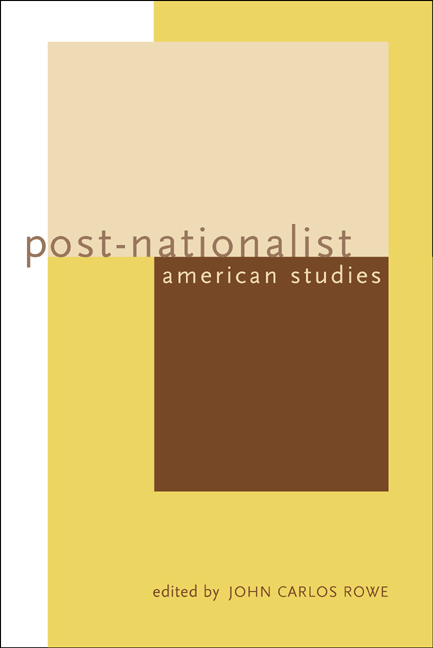 Post-Nationalist American Studies seeks to revise the cultural nationalism and celebratory American exceptionalism that tended to dominate American Studies in the Cold War era. The goal of the book's contributors is a less insular, more trans-national, comparative approach to American Studies, one that questions dominant American myths rather than canonizes them. Articulating new ways to think about American Studies, these essays demonstrate how diverse the field has become. Contributors are concerned with cross-cultural communication, race and gender, global and local identities, and the complex tensions between symbolic and political economies. 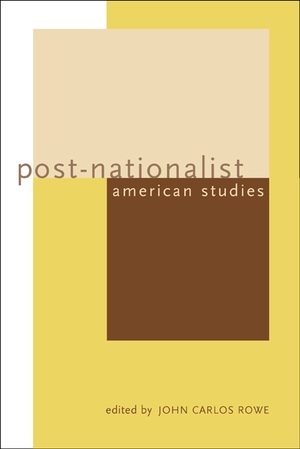 Their essays explore, among other topics, the construction of "foreign" peoples and cultures; the notion of borders—territorial, racial, economic, and sexual; the "multilingual reality" of the United States; the place of the Mexican-American War in U.S. history; and the significance of Tiger Woods in today's global market of consumption. Together, the essays propose a renewed vision of the United States' role in the world and how American Studies scholarship can address that vision. Each contributor includes a sample syllabus showing how the issues discussed in individual essays can be brought into the classroom. John Carlos Rowe is Professor of English and Comparative Literature at the University of California, Irvine. Among his many published works are The Other Henry James (1998) and At Emerson's Tomb: The Politics of Classic American Literature (1997), and, as editor, Culture and the Problem of the Disciplines (1998). His most recent book is Literary Culture and U.S. Imperialism: From the Revolution to World War II (2000).